KIEV, Ukraine -- Mikheil Saakashvili, former Georgian president and current leader of an opposition party in Ukraine, has accused Ukrainian officials of wanting to "get rid" of him, days after a court rejected his plea for protection from possible extradition. 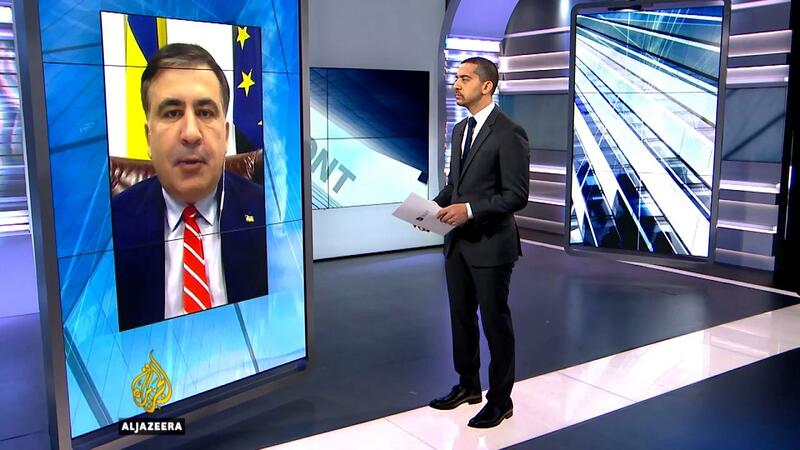 Saakashvili - who is wanted in Georgia on four charges, including abuse of office - and faces separate criminal charges in Ukraine, told Mehdi Hasan on Al Jazeera's UpFront current affairs show that Ukrainian prosecutors have no evidence against him. "The reason why they want to get rid of me is that they don't have a real case against me, [and] because I crossed the path of oligarchs that want to further plunder the country," he said. "[Ukraine] is potentially the wealthiest country in Europe because of resources and right now it's the poorest country in Europe, GDP-wise, because seven oligarchs hold hostage the entire wealth of the country and they regard me as their main enemy." On January 5, a Ukrainian court rejected Saakashvili's request for protection from extradition, denying him the status of a person in need of sanctuary. 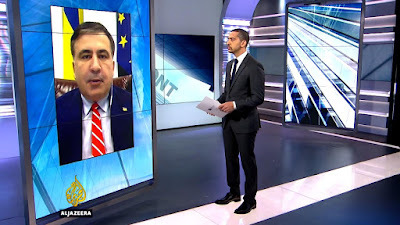 Saakashvili told Al Jazeera he would continue to refuse to return to Georgia to stand trial, citing concerns that he may be placed in "preliminary detention for political purposes". In July 2017, Ukraine stripped Saakashvili of his citizenship while he was visiting the United States, rendering him stateless. Saakashvili had already surrendered his Georgian citizenship on account of Ukraine forbidding the possession of dual citizenship. In September, he re-entered Ukraine by force at a crossing on the Polish border, two months before Ukrainian police failed in an attempt to arrest him in Kiev, the capital. Ukrainian prosecutors accuse Saakashvili of having assisted a criminal organisation, a charge he claims is a politically motivated attempt to undermine his campaign to win the Ukrainian presidency from incumbent Petro Poroshenko. Saakashvili has been an outspoken critic of Poroshenko since resigning as governor of the Black Sea Odessa region in November 2016, 18 months after assuming the post, claiming that corruption was stifling his work. "I stand up for the idea of modernised, democratic, European Ukraine with an economy free of oligarchs [and] free of corruption, because corruption is killing the economy," he told Al Jazeera. Ukraine was registered as the 131st most corrupt nation of 175 countries surveyed in Transparency International’s 2016 corruption perceptions index, the highest ranking European country.